Located at the most northern part of the island, Corralejo is the largest resort in Fuerteventura and is the centre for tourist activity. It has a wide, sandy beach as well as a wonderful selection of shops and restaurants. August, on average, is the hottest month in Corralejo with temperatures averaging at 25℃. January (predictably) is the coldest and wettest month, but temperatures still reach the mid-teens. Day trips are popular things to do from Corralejo as everything is well-connected. 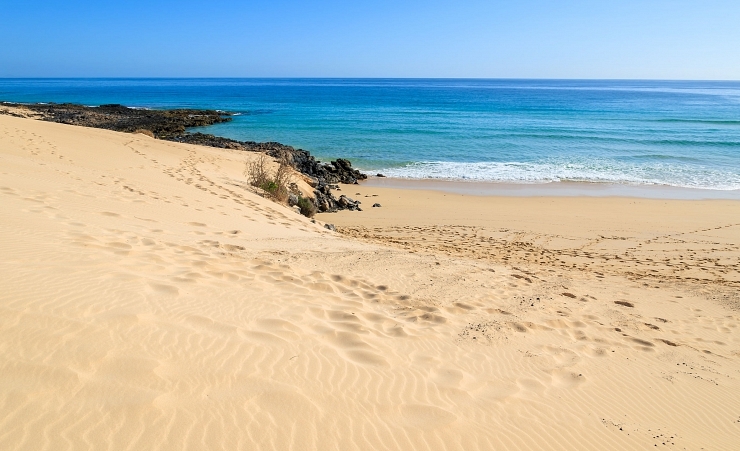 Visit El Cotillo and check out the beach and lighthouse before visiting the Cotillo lagoons. 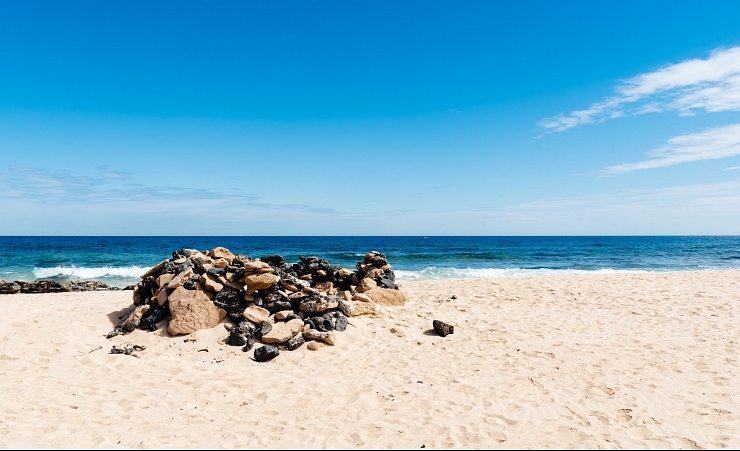 A day trip to Puerto del Rosario will be a day of history as it is home to many famous sculptures and statues of Fuerteventura. Lanzarote is only a ferry ride away, but Isla de Lobos is the best place to go to spot hammerhead sharks. There is also the Oasis Park and tropical gardens of La Lajita, home to African animals, birds and reptiles. You can even travel around the park on the back of a camel! If you’re more into shopping than you are adventure, the Centro Comercial Las Palmeras is close by and is home to all the shops you need under one roof. Corralejo beach is one of the best in Fuerteventura and faces the island of Lobos. Corralejo Viejo, near the middle of the resort, is the biggest of the beaches here, but Playa Grand - as its name suggests – is large as well, with almost 10 kilometres of sand dunes and sandy shores. Visit Flag Beach to take on some water sports like kite and windsurfing and, for sizeable white sand dunes, spend the day at Parque Natural de las Dunas. Fuerteventura is a very Catholic country, so many of the traditional Catholic celebrations are observed accordingly throughout the year. Corralejo is home to some of Fuerteventura's best bars and restaurants. It has a lively nightlife scene with places to see live music and eat traditional food. Most of the restaurants are found on the main street in Old Town, home to authentic Canarian culture with fresh fish found on most of the menus. Restaurants found in Music Square near the harbour are where a night out generally start. Restaurants in Corralejo serve traditional food as well as other favourite cuisines including Italian and Indian. Most menus also have the choice of vegetarian and vegan dishes as well. There is a vast choice of places for a night out in Corralejo, from drinks in bars, to live music to staying out until the sun comes up… there’s something for everyone! Start in The Atlantico Centre which is full of places to drink and dance the night away. Here you’ll find sports bars showing big games and even Irish pubs serving Guinness! As live music is a big scene in Fuerteventura, expect to find performances in many of the venues you visit. Near the port, you can book on to diving tours and trips for big game fishing. You can also take a boat trip over to Los Lobos, a desert-type island with panoramic views at the top of its own little mountain. Corralejo has a public bus service and local taxis to take advantage of when you arrive.